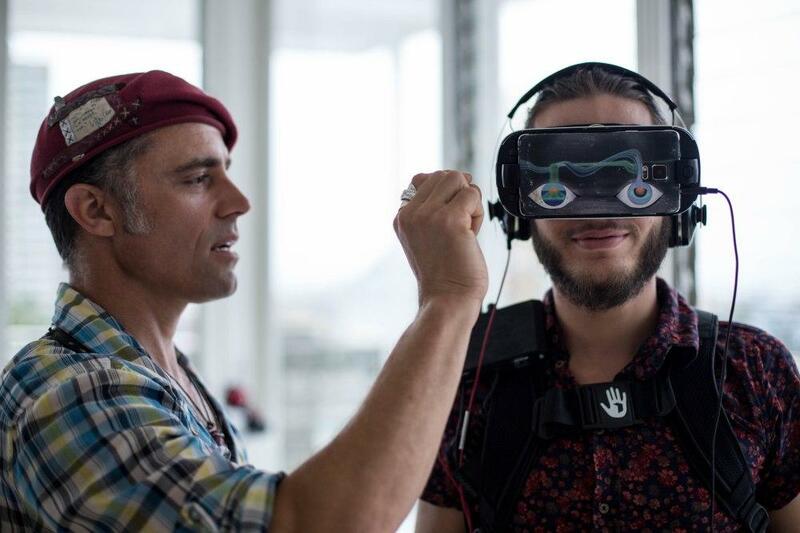 Fifer Garbesi adjust the VR viewer of one of the participants in the recent Virtual relity Film Festival in Havana. Participants of the VR Film Festival in Havana. Fifer Garbesi is creating a virtual Cuban rave. She’s making a virtual reality film about the Cuban electronic music scene which so impressed her when she studied filmmaking on the island in the Spring of 2015, because she thinks there’s something special about electronic music concerts in Cuba. 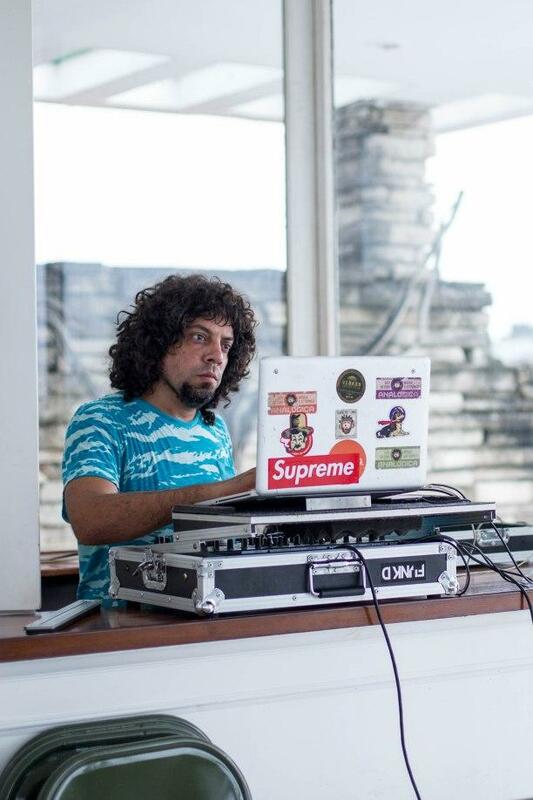 DJ Joyvan Guevara spins at the recent VR Festival in Havana. Take the song "Arroz con Pollo" by DJ Joyvan Guevara, or DJoy de Cuba. The production techniques he uses were developed in nightclubs in cities like Berlin and Chicago. But the rhythms, and the food references, are distinctly Cuban. You can listen below. Guevara got his start after German producers visited Cuba and left behind some of their music. He became a pioneer in Cuban electronic music, throwing big beach parties in the early 2000s. Gabresi calls him "the Godfather of Cuban electronic music." The concert experience on the island is different too. There are a number of conditions of life in Cuba today that make the concert experience different. Lack of access to technology means people aren’t Snapchatting the concert, but it also means that it’s harder for DJs to get their hands on nice equipment. I lived in Cuba this spring, and I went to some of these independent electronic music shows. Most went along the lines of one I went to at the Instituto Superior de Arte (ISA), an exclusive Cuban arts university: An aspiring DJ set up two big speakers, strobe lights, and projected an art film that he made on the ceiling. His eyes lit up as classmates walked across the school grounds to dance and he tried to adjust his equipment. This is a video that a friend took of the concert. The setting made this concert stand out in my mind. ISA was built after the revolution and is an architectural landmark. Long, low, open brick buildings curve around on an old golf course. Most of the buildings are now abandoned and decaying and this background brought to mind the ambitions and failures of the Cuban revolution, even as I jumped higher and higher to the music or shielded my eyes from strobe lights. It is this experience that Fifer Garbesi wants to recreate with virtual reality for others to see and feel back in the U.S. The technology allows the viewer to look around, and be part of a scene in a way conventional film can’t. “Just like electronic music, it is technology completely blowing your mind,” Garbesi said of virtual reality technology, or VR. She isn’t the first person to bring Cuban stories to the U.S. through VR. In 2014, two Miami filmmakers shot a film on an earlier version of VR called Oculus Rift. 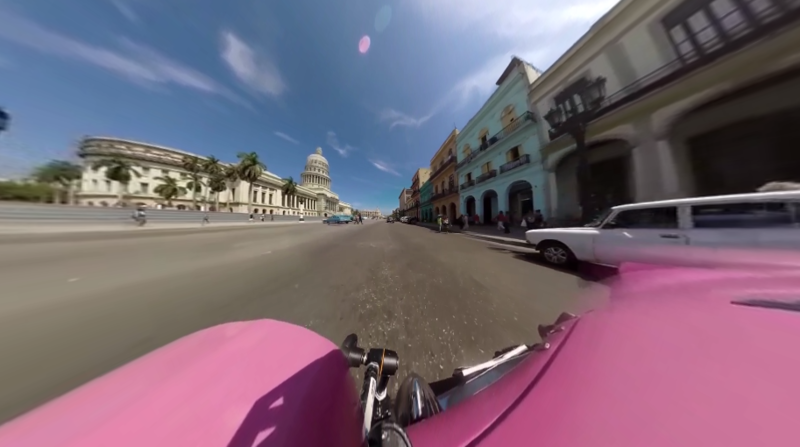 USA Today also went to Cuba and shot a film in VR last fall. They were using it to promote new virtual reality content at a recent jazz festival in Upstate New York. Participants could choose downhill skiing, flying with the Blue Angels, Indy car racing, or a trip to Cuba. Jeremy Caulkins, 19, ran the booth. He said the Cuba experience was one of the most popular. The tour allows the viewer to look around in a few notable Cuban scenes, like a famous restaurant or a cruise on Havana’s seaside road. Caulkins tried it and he talks about it in a way similar to American tourists when they see the island. But this isn’t the kind of virtual reality work on Cuba that Fifer Garbesi is excited about. She thinks the images are cliché and reinforce American stereotypes. She hopes to instead tell the island’s authentic story. Participants of the recent VR Film Festival in Havana. 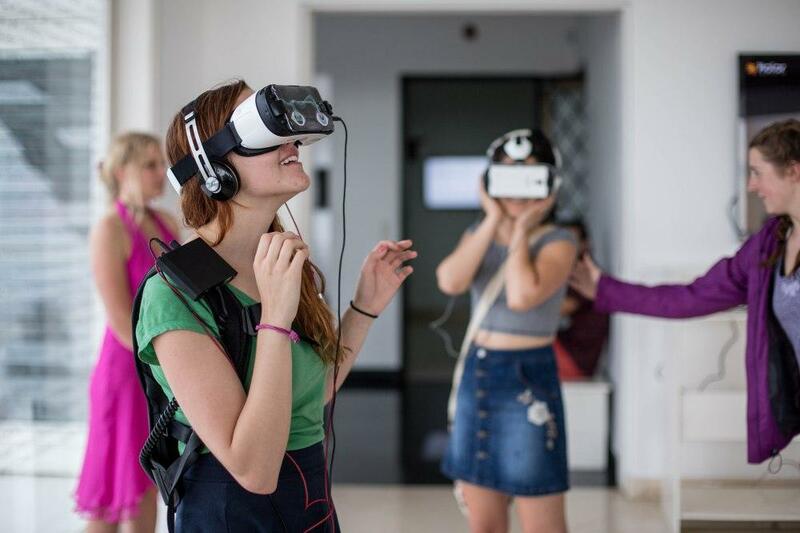 As part of her efforts to make it easier for Cuban filmmakers to make films in virtual reality, she held a small film festival this Spring, showing sample films and walking participants through how the films were made. Virtual reality technology is advancing quickly but many Cuban filmmakers already have what they need: a wide-lens digital camera and timer and software they can download from the internet. Right now, the lowest price most Cubans can get for internet access is two dollars an hour, unless they have access through a government job. That’s cheaper than it used to be, which is important for virtual reality because filmmakers need software that they can download from the internet. Fifer said participants at the VR festival were especially interested in seeing New York City. They also want to use the technology to see the things they can’t yet because of travel restrictions or because they don’t have the money. Pedro Martin, a Havana-based filmmaker, said that seeing VR was a big deal for his Cuban friends. Participants of recent VR Film Festival in Havana. Martin said he knows of a couple VR setups being used by Cubans and he’s working hard to show VR films at the Havana International Film Festival in December and he hopes to show Garbesi’s film there. Listen to DJ Joyvan Guevara’s music and here Garbesi talk about her film. WLRN first published this story on July 25, 2016. We're bringing it back now because it is being rebroadcasted as part of WLRN's Latin American report this week.